Why would I need self storage in Statesboro, GA? There are a variety of reasons why you might need self-storage in Statesboro, GA.
How much is a storage unit in Statesboro, GA? The cheapest storage unit in Statesboro, GA is $97.00 per month. What size storage units do you have available in Statesboro, GA? In Statesboro, GA we have sizes that range from 10'x10' to 8'x15' to suit your storage needs. How much is it for a 10'x10' storage unit in Statesboro, GA? The cheapest 10'x10' storage unit in Statesboro, GA is $97.00 per month. Statesboro is among the largest cities in Georgia's Bulloch County, about 50 miles northwest of Savannah and 150 miles north of Jacksonville, Florida. The Georgia coastline is within an hour's drive, making it a popular weekend destination for many Statesboro locals. Statesboro is largely considered a college town, host to Georgia Southern University's flagship campus. The land where Statesboro now sits was originally owned by George Sibbald, who donated it to Bulloch County's agricultural community in 1801. Two years later, the Georgia Legislature named the land Statesboro, but it didn't become officially incorporated until 1866. After the Civil War, the town recovered from the damages of battle and transformed into a major city of the region. By the turn of the century, Statesboro had welcomed many new businesses, including numerous stores and banks. The city was the world's largest producer of Sea Island Cotton, which was a staple of the local economy. When pests affected the cotton crops, the farmers turned to tobacco. Statesboro and much of the surrounding region became known as the "Bright Tobacco Belt," an area that stretched across Georgia and Florida. Since then, growth has continued, slowing only briefly in the 1970s. Between 1990 and 2010, the population nearly doubled, and Statesboro has continued on a steady rate of growth ever since. There are many job prospects in Statesboro, especially in the downtown region. Georgia Southern University, one of the most popular universities in the United States, is Statesboro's largest employer and an important educational resource for the city. Statesboro's educated population and strong work ethic entices a range of businesses to call the city home, with commerce, agribusiness, government and health care industries functioning as major cornerstones of the state's economy. The Statesboro Briggs & Stratton plant, Great Dane Trailers and private roofing manufacturer GAF are all based in Statesboro. Bulloch County School is responsible for the public schools in Statesboro. There are several private and charter schools in the area as well, including the Statesboro STEAM Academy. As a hub for higher education, Statesboro provides plenty of opportunity to pursue your degree. Georgia Southern University is a major educational presence in the city, including many facilities like a cultural and natural history museum, botanical gardens and a wildlife education center. Utilities: Excelsior EMC is the central energy provider in Statesboro. Water services are operated by the city. Garbage and Recycling: Disposal cans are provided at all single-family homes in Statesboro, though you'll have to purchase a new one if yours is lost or stolen. Trash is regularly collected; your schedule is determined by your home's location. Transportation: The Coastal Regional Commission serves the Statesboro area, and there's also public transportation available near the university campus. Statesboro has a range of housing options, from the apartments popular with college students to the large historic homes along Savannah Avenue. Statesboro is a very pedestrian and bike-friendly city, which ensures you'll have easy access to shopping, schools and other local amenities no matter where you settle down. Real estate in Statesboro is very affordable, thanks to a low cost of living and some of the lowest property taxes in Georgia, so it's a popular place for young couples and families to settle down. Our lowest priced units in Statesboro, GA average $97.00 per month. 187 people have reserved units in Statesboro, GA in the past 30 days. 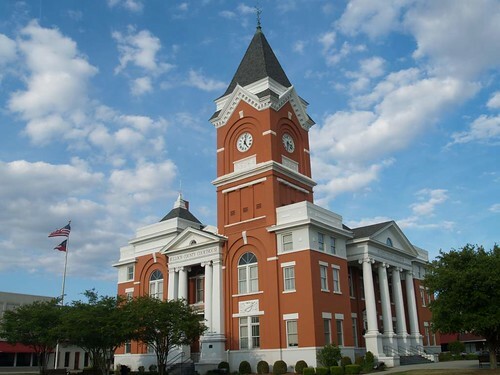 There is 1 location within Statesboro, GA's city limits. There is 1 location in Statesboro, GA that offers AC and Heating features.